First published in 1992. With an ever-increasing number of deaf students entering higher education throughout the world, major strides need to be made in provision and support for them. 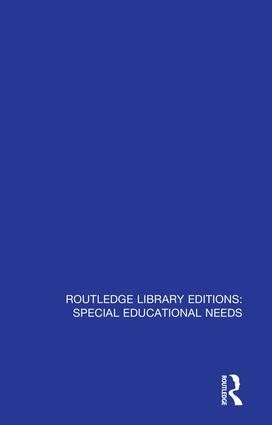 This book recognises that the integration of deaf students into mainstream higher education raises complex and challenging problems. It has proved extremely difficult for deaf students to enter fully into the social and extra-curricular fabric of campus life – an essential factor in ensuring student success. The authors provide an assessment of state-of-the-art practice in postsecondary settings and suggest theoretical and practical approaches to providing support. There is discussion of the attainments of deaf graduates with commentaries by deaf persons about their experiences in college. In addition, statistics support the theoretical contentions and clearly demonstrate the benefits of postsecondary education to deaf people.